After installing the home security system, what’s next? Homeowners feel relaxed after the installation of their home security system. The home security system is indeed effective. But it is just like any other electronic system, it has its’ limits. Good thing that a home security system can further be improved by doing some additional work. In earlier years, home security lies with how effective the owner hid their spare key in their property. The common hiding place is on the top corner frame of the front/back door or under the doormat (sometimes flower pots). This practice has been proven to be effective. Not until the intruders found out all the homeowners’ favourite hiding place inside their properties. Instead of hiding your keys, it’s best to entrust to a relative or friends. But if you don’t have any relatives in the neighbourhood or someone that you can trust, you can hide your spare key in unexpected places. A good example of a good hiding place is on your dog’s collar. You can do this by placing multiple fake keys on the dog’s collar and one real key. The keys will look like a design, so the intruder wouldn’t mind it. Even if they realised it, the intruder will have a difficult time getting it because of one, they will figure out which one is the real key; and second, how they can get it without getting bitten. 2. Tidy up your yard! Other behaviours that intruders notice is the ragged appearance of their front yard or backyard. This is an obvious indication that the homeowners are not at home. To prevent attracting the intruders, it’s best to tidy up your yard! A poorly managed yard is a sign that no one is taking care of it. So, before you leave it’s best to prune your plants, mow the lawn and set the sprinkler on schedule. If you will be gone longer than expected, it’s best to ask someone to look after your house and do these tasks. Conceal the windows with thick curtains or tall fences. The windows are the common peaking point of intruders. To ensure yours will not be used for this purpose, make sure to install thick curtains on your windows or tall fences on your yard. If you don’t have the time to install tall fences, you can plant thorny bushes outside your window to ensure no one will walk close to it. Light and loud noise always scare away the intruder. This is the reason it’s recommended to install an exterior motion-activated sensor for light or alarm on your yard. For the light, it’s ideal to choose solar-powered to ensure it will not run out of power. Maintenance is always the key to make an electronic device last longer. 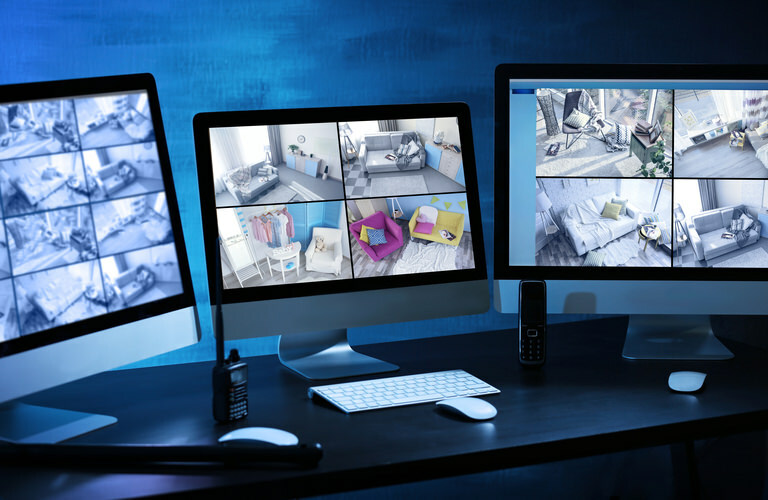 For home security systems, here are the maintenance tasks that you can perform for the lights, camera, and control panel. For the control panel, you can also run the test mode to ensure every function is still working fine. If you see any broken wires to the control panel or any technical problem to the home security system devices, it’s best to contact your provider immediately. While for the maintenance tasks like safety checks, annual inspections, or perimeter check it’s required for a licenced security specialist to perform the job. This is the simplest method to prevent attracting the intruders into your home. But there are still some people who are doing this up to this date through social media. Avoid doing this because no matter how good your home security system is, if the intruders know exactly the time and day you are gone, it will just go to waste. This is because they have enough time to plan the whole thing. Keeping the house safe doesn’t have to be difficult. Just do the necessary precaution and maintain your home security device well will guarantee you peace of mind for a long time.